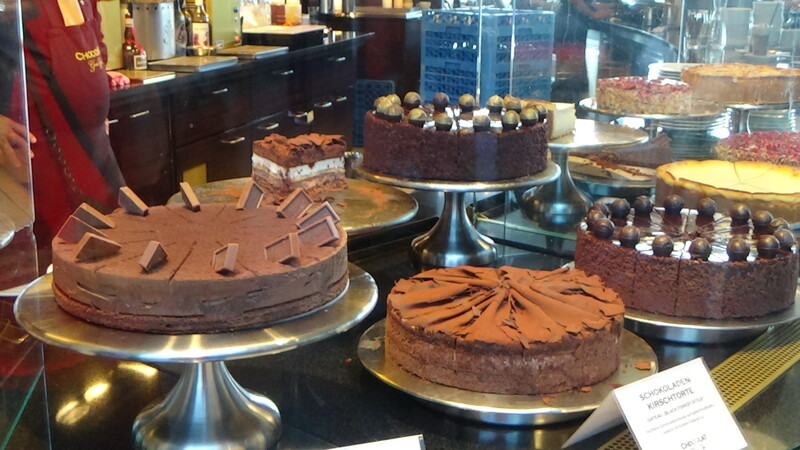 Anyone who loves chocolate is sure to fall in love with Germany. Cologne, Germany’s fourth largest city is Germany’s chocolate capital as it is the proud home of the world famous Imhoff-Stollwerck Museum or Chocolate Museum. The museum, founded just 25 years ago, has attained a worldwide fame and reputation. As the Visitors step into the cologne museum, they overwhelmingly smell the chocolate fragrance. Your visit is sure to keep getting better after that first step. The Chocolate Museum, located on the Rhine River, is shaped in a wonderful ship shaped building of glass and metal. The museum is spacious, well aerated and modern inside. The chocolate museum started as an exhibit aimed at celebrating the 150th anniversary of Stollwerk. The event was so successful that the idea of creating a full-scale chocolate museum automatically originated and the chocolate museum opened its doors on October 31st, 1993. More than five million visitors come to the Cologne Chocolate Museum every year. They come to have a look at the grand museum; Also, to see the process of shaping the chocolate through various stages. This self-financed museum was established as an interactive experience. Here, visitors can learn about the history of chocolate starting with Mayan’s chocolate “drink of the gods” to today’s chocolate commercials. The greenhouse of the Cologne Chocolate Museum is a delightful experience as travelers stroll through it, looking at the cocoa trees. In the mini-production unit of the museum, visitors can see the incredible transformation of cocoa beans into chocolate bars through various stages. The Chocolate Museum hosts several interactive activities for kids. The most attractive feature of the museum is a 10-feet high chocolate fountain: The employees at the museum will happily dip waffles into the warm chocolate to give visitors a generous try. Many take home delicious chocolates from the shop inside the museum where visitors can choose from a wide range of German and Swiss chocolate. There is a big assortment of imported chocolates as well as fresh made chocolates on premisses. 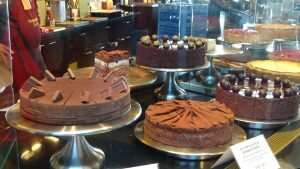 Be sure to check out the decadent chocolate desserts in their cafe. Your visit to the Chocolate Museum will be an exciting, delightful and knowledgeable experience. People who love to travel should not miss the opportunity to book their holiday on Europeanbarging’s Rhine river cruise. 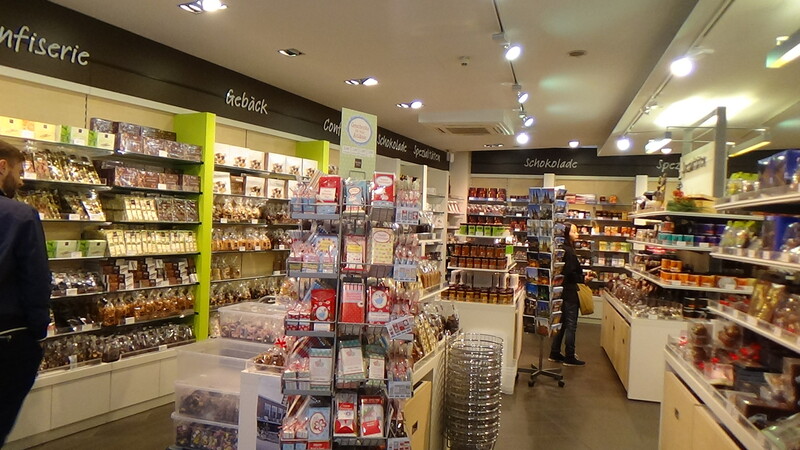 Do not forget to make a visit to the marvelous Chocolate Museum in Cologne! Rhine River Cruises with stops in Cologne include short 4 – 7 day river cruises on Arosa and Croisi Europe as well as 7 – 15 days cruise on AmaWaterways. This entry was posted in AmaWaterways, Arosa, CroisiEurope, General, Germany, Short River Cruises and tagged 150th Anniversary, Attractive Feature, Chocolate Bars, Chocolate Drink, Chocolate Factory, Chocolate Fountain, Chocolate Museum, Cocoa Beans, Cocoa Trees, Cologne Germany, Delightful Experience, Drink Of The Gods, Germany Cologne, History Of Chocolate, Imhoff Stollwerck, Mini Production, Museum Visitors, Rhine River, Stollwerck Museum, Worldwide Fame by Jan European Barging & River Cruises. Bookmark the permalink.